AS IT STANDS: What? No 5-Step Vetting Process For Presidents This Year? What? No 5-Step Vetting Process For Presidents This Year? I always thought that presidential candidates were throughly vetted before running for office. No one could of checked out Donald Trump's backround when he threw his clown hat in the ring, or there wouldn't be so many revelations in regard to his lurid past. The guy's got Mafia connections ("The mob connections of Donald are extraordinarily extensive," New York investigative journalist Wayne Barrett told CNN in an interview.) 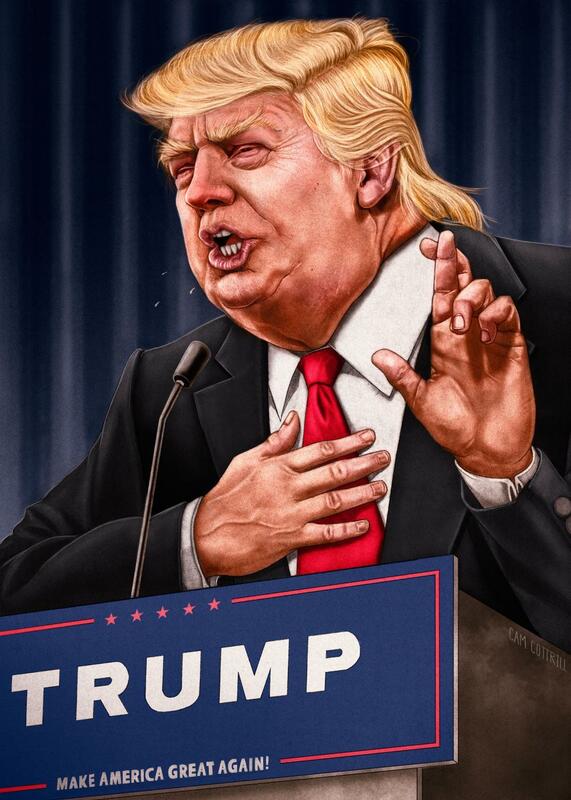 has been sued repeatedly for building violations, descimination against his own workers and tenets in his apartment buildings, and is going to court for fraud in regards to his sham university - Trump University. Column: "Donald Trump tried to get me fired after I wrote about Trump University"
That's just what's been uncovered in the last six months. Who knows what dirt still remains to be discovered? Does Trump have a problem with the IRS? Who knows? He won't release his tax returns, claiming an audit makes it impossible. A claim that is patently false according to the IRS. Again, no one really knows what The Donald is worth, or where he stashes all of his money. Ripping off 150 illegal Polish workers during the building of Trump Tower, is only the tip of his ethics iceberg. Background investigations supposedly include public records checks in law enforcement databases, as well as such court docket databases as PACER. The pendency of a criminal investigation, even for a misdemeanor offense, supposedly renders a nomination untendable. What happened with Trump's investigation? Fraud is a felony. He's going to court in May. Speaking of litagation, the lawsuits don't stop with that fraud trial. A judge will decide by the end of this month whether to proceed with a proposed class action lawsuit filed by a Jamaican fashion model against Trump's modeling agency for cheating her out of wages. Who investigated Trump? Was he even investigated? Candidates are supposed to identify all published writings, significant speechs or panel presentations, and organizational positions and affliations on extensive written questionnaires. Let's put it this way, Trump has said things in past news articles that he totally disavows now. When confronted with reality he doubles down on the lie. The fact he knows a white supremacist group is campaigning for him should be enough to make people wonder. Has 69-year old Trump even taken a physical to see if his bulging gut could be a problem or if he has high or low blood pressure, etc.? What about a mental examination? I sincerely doubt The Donald would pass one without raising concerns. With Trump leading the race for the GOP nomination I have to believe that none of the five steps shared above were conducted by anyone, and no one cares!